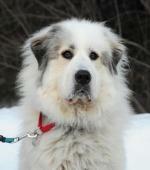 We are happy to report that Santa Paws is none other than the Great Pyrenees Mountain Dog. And Puppy Paws? 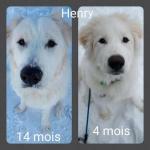 Yes… he too is a Great Pyrenees Mountain Dog puppy. In Europe the breed is referred to as the Pyrenean Mountain Dog, as well as Chien de Montagne des Pyrenees. Beautiful, aren't they? Yes but... BE CAREFUL. These are big (100 to 135 pounds) powerful (they fight off bears and wolves) willful (they have been bred not to follow commands) dogs. They must be kept in an enclosed area or on a leash. They shed and they bark... a lot... even at night. Is that the kind of dog you want? If so you have come to the right place. 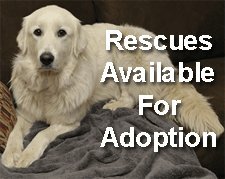 Our club and our web site are dedicated to helping the Great Pyrenees breed and their owners, as well as informing potential owners about the unique characteristics of this beautiful, but sometimes demanding dog. We know these dogs extremely well. We know they make amazing companions. But, they are not for everyone. We are so happy that Disney has introduced our beautiful breed to you. You may even be considering bringing one into your life. So let’s pick up where Disney left off. 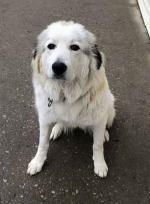 Let us help you understand more about our Great Pyrenees Mountain Dogs so you can make a well-informed decision. 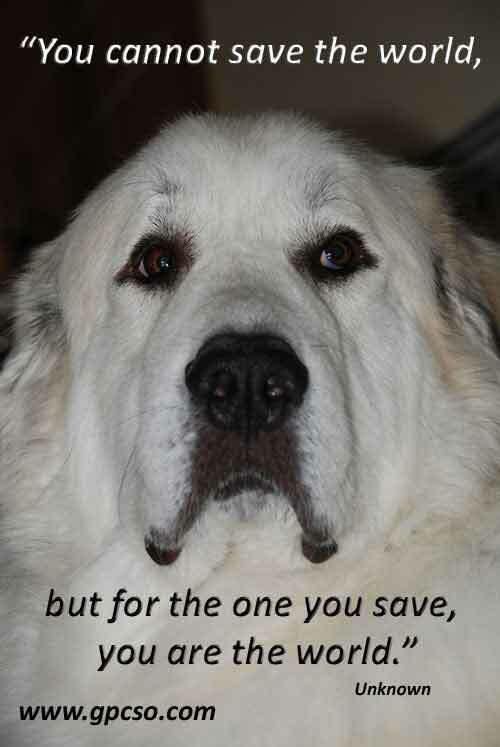 Our Great Pyrenees Rescue Team has seen far too many tragic endings. Tragic for the dogs... and tragic for the owners. As rescuers we help fix tragic situations where we can. But we would rather prevent them. And what causes tragic endings? Inadequate research! Can you believe that in the "Information Age" people can still be uninformed? Well it happens. We are always amazed when we are contacted by people who did not realize that a 130 pound dog is really BIG! And all that talk about shedding was no joke. They shed lots of long white hair. And barking? That is real too. But somehow some people do not actually believe this until they are living with it, or more aptly, until their lives are being overrun by a big, barking, willful, shedding dog. So avoid a tragic ending. Spend a little time and explore our site. Actually, spend a lot of time on our site. We have lots to share with you. 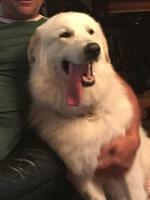 Our club represents hundreds of years of experience with Great Pyrs. And if you have questions, drop us a note using our contact form. We will be happy to answer your questions and share everything we know with you. 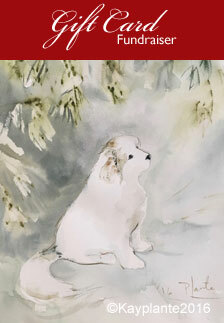 Welcome to the wonderful world of the Great Pyrenees Mountain Dog. It’s time to leave Santa Buddies and go explore our site.